These dining chairs offer the utmost comfort and relaxation with scroll stop, upholstered seat backs; upholstered cushion seats; and swivel stool bases. 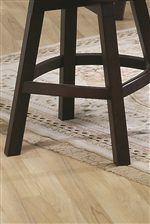 The heather brown upholstery is a well-paired accent to the dark wood finish of the chair frame. 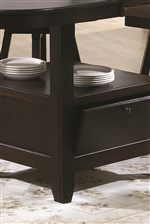 Arrange these chairs around the oval top storage pub table (2241) from the same collection to complete the look. 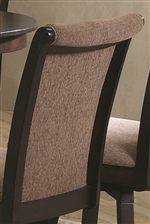 The 2241/2242 Scroll Top Upholstered Swivel Chair by U.S. Furniture Inc at Royal Furniture in the Memphis, Nashville, Jackson, Birmingham area. Product availability may vary. Contact us for the most current availability on this product. 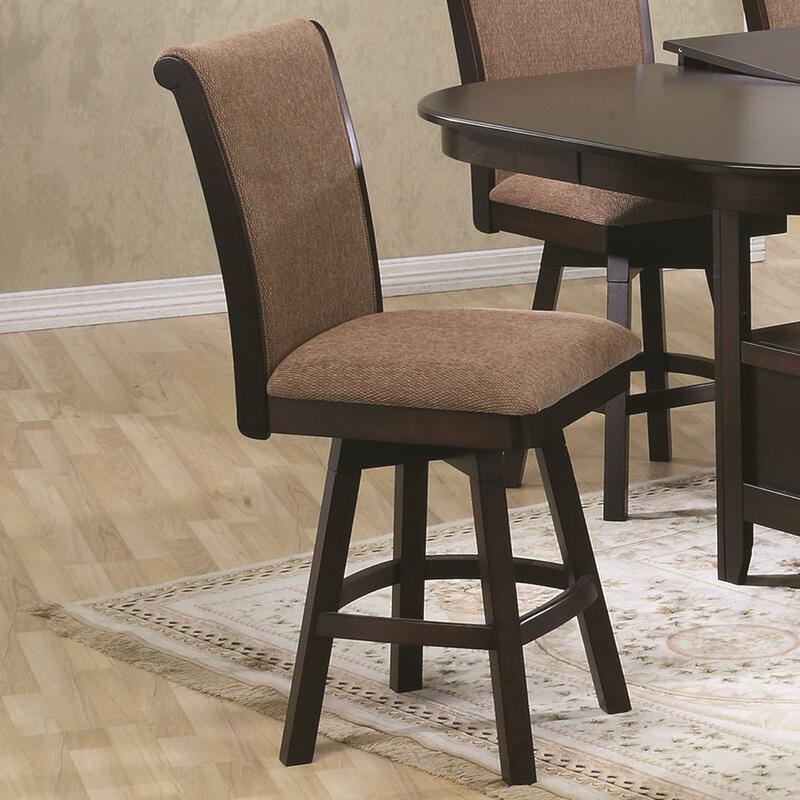 The 2241/22442 Pub Height Dinette is constructed from solid wood in a dark finish, accented by heather brown upholstered dining chairs. Seat between four and six at the wooden, oval top table by adjusting the butterfly leaf as needed. The table also features a storage pedestal base which adds aesthetic value to the set as well as a convenient space for storing dishware, place mats, table linens, and the like. The chairs offer the utmost comfort and relaxation with upholstered seat backs, upholstered cushion seats, and swivel stool bases. Detailing can be noted in the scrolled seat back tops of the chairs and beveled corners of the pedestal columns on the table. 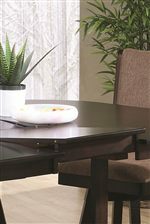 The 2241/2242 collection is a great option if you are looking for Contemporary furniture in the Memphis, Nashville, Jackson, Birmingham area.